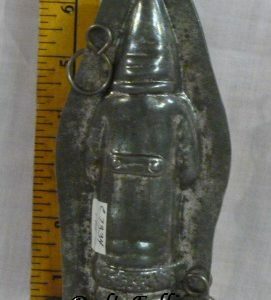 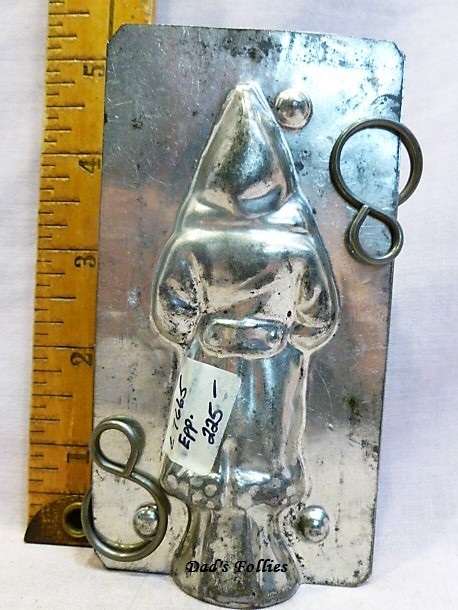 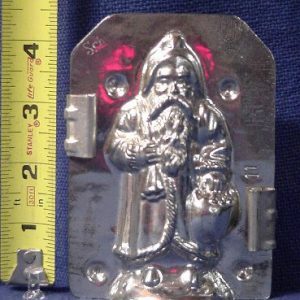 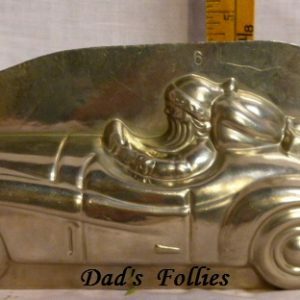 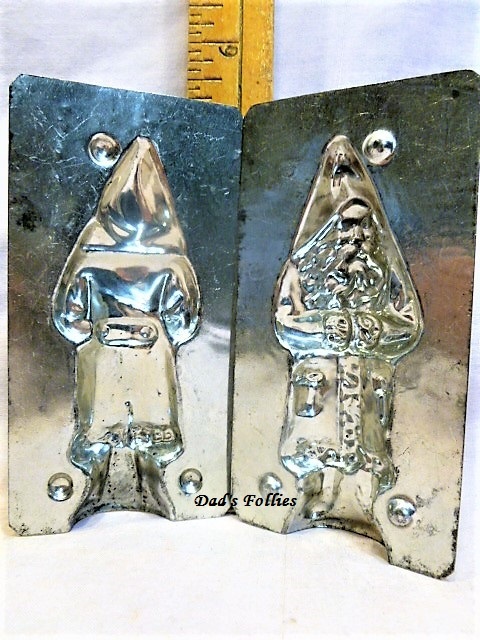 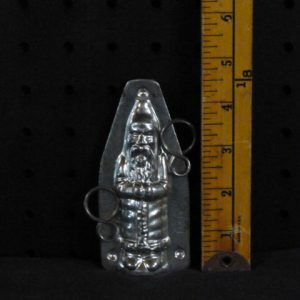 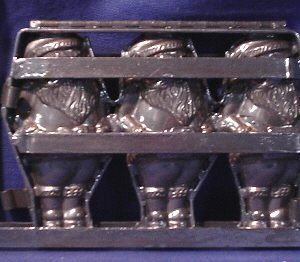 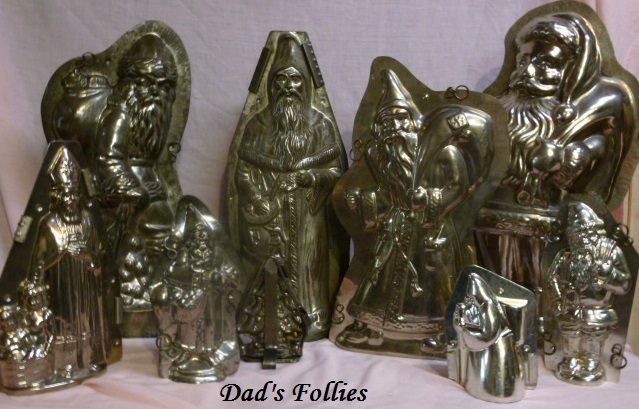 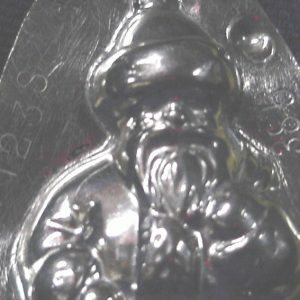 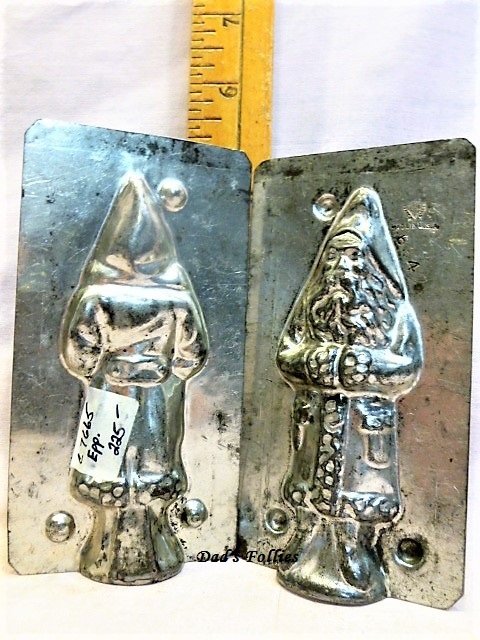 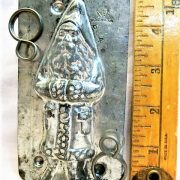 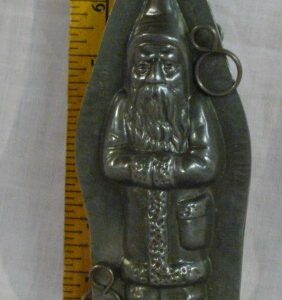 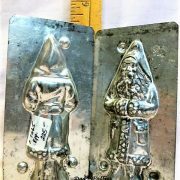 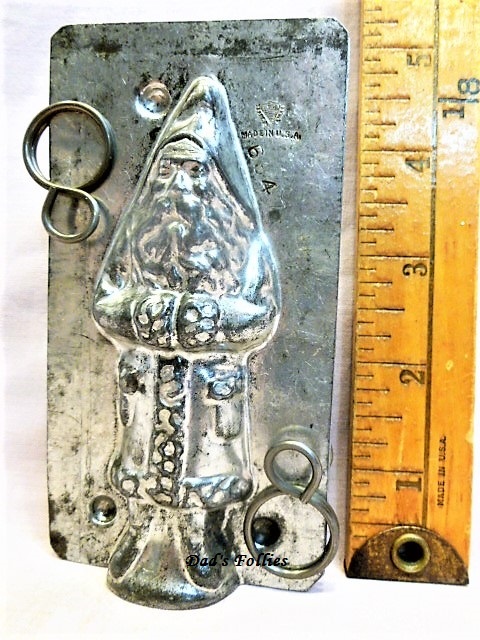 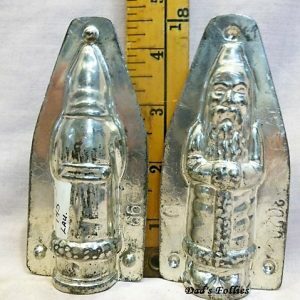 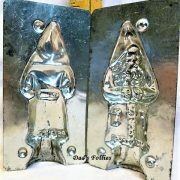 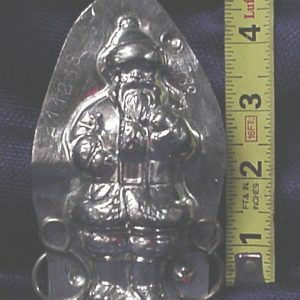 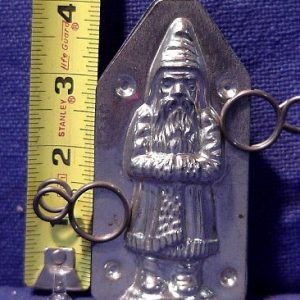 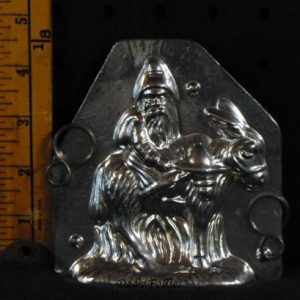 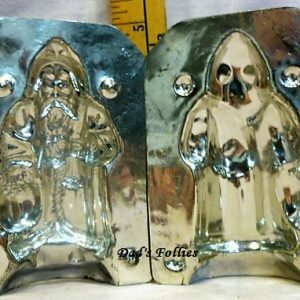 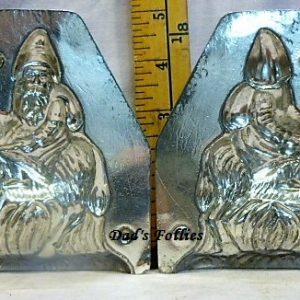 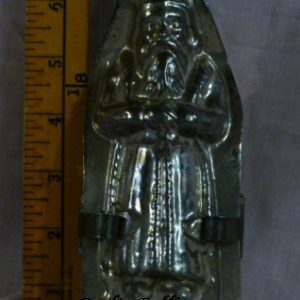 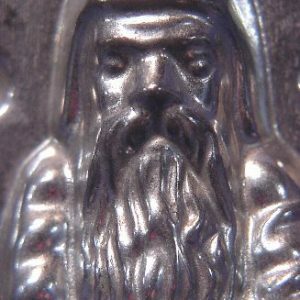 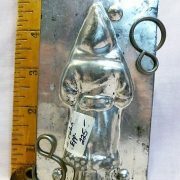 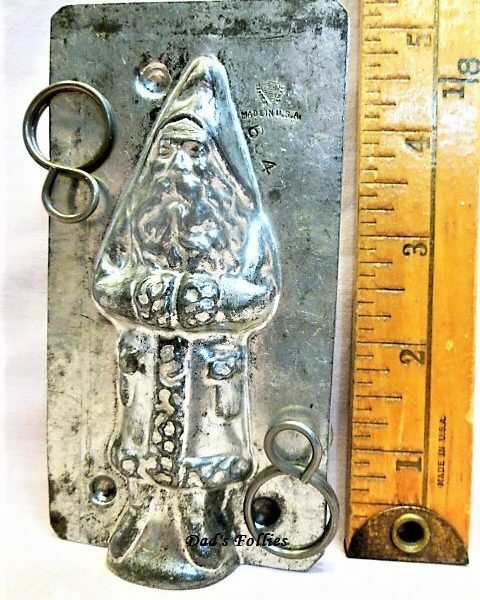 This antique chocolate mold of Father Christmas has wonderful detail seen in his beard and fur trimmed coat. 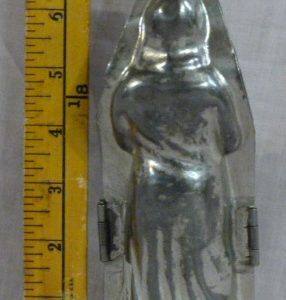 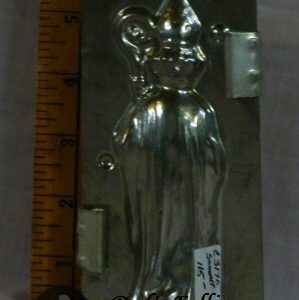 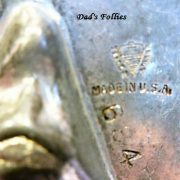 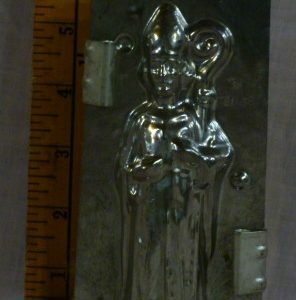 The mold was made by Eppelsheimer, New York marked with the manufactures’ mark and number. 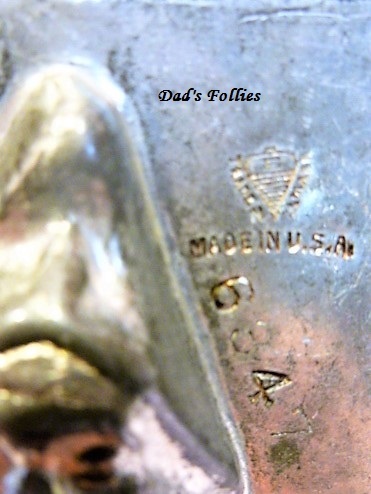 This well marked piece is not suitable for molding chocolate.